Joy Division and New Order fans! Hear both band's incredible Substance albums live, played by former New Order and Joy Division bassist's band Peter Hook and The Light! 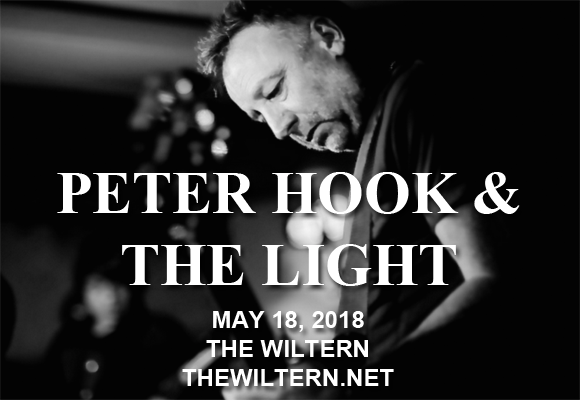 Heading to The Wiltern on Friday 18th May 2018, the band promises that "audiences will be taken on a sonic journey through the greatest moments of Hook's career, all the while seeing first hand the original source of alternative darkness that looms above us to this day…"
English rock band Peter Hook and the Light was formed in 2010 by former Joy Division and New Order bassist, Peter Hook, and also features Hook's son Jack Bates (bass), as well as Andy Poole (keyboards) and Paul Kehoe (drums), who both played with Hook as part of Monaco, one of his former bands. Over the years, the band has become known for playing New Order and Joy Division albums live, particularly Joy Division's Unknown Pleasures and Closer, and New Order's Movement and Power, Corruption & Lies.